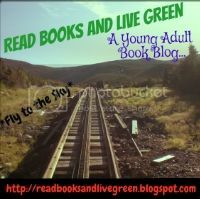 So I know recently I've had a couple posts mentioning the awesomeness of book bloggers and just blogging in general. 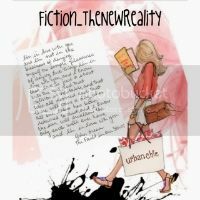 And because the year is ending I just wanted to highlight the bit of progress I've made with my blog since I started it. One of the biggest and most important strides I've taken is I've made friends. Way back in May, about two months after I began blogging I was participating in Feature and Follow Friday and the question: What blogger would you like to meet in person? was asked. Anyhow, that has recently changed dramatically. There are so many bloggers I would love to meet in real life. SO MANY! And looking back I'm kind of shocked that I just couldn't think of any. But truthfully, I can tell you why. Back in pre-summer days I didn't have a twitter. Yep. To make friends in the blogging world (Good friends at any rate. Like ones you actually talk to instead of just commenting back and forth on each other's posts...) you need a twitter. All bloggers are on twitter and that's where they all connect. It's also the best place to hang out when you have the time.... It's also very addictive, you have been warned. Basically the point of this post is highlight some of the amazing friends I've made! Emz is not only one of the coolest people around, she's also got a killer blog! I LOVE her to pieces and she's always there for me when I need a friend! I love this girl SO MUCH! And even better is recently we've started working on a new venture together! If you've yet to have heard of it, it is North Star Book Tours! So very excited to be doing this with such an amazing friend! Jessica is another of my favorite bloggers in the entire world! She started her blog a while ago and I found it through a Top Ten Tuesday link. I immediately loved her blog and I remember thinking that she had some great picks on her list. So the minute she joined Twitter I was psyched! I had been stalking her blog for a while and she was such a cool person to talk to on twitter! She is an amazing blogging friend and talking to her is fantastic! 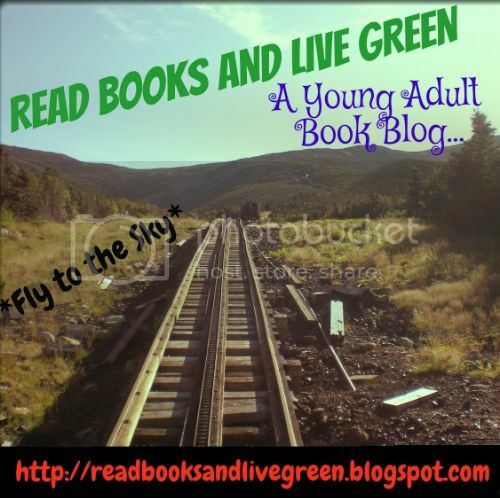 This girl is lacking a blog button, but her, along with her blog, are AMAZING! We recently organized a fantastic event (What's in the Snow?) and out of it I got an amazing new friend. Jess is yet another example of the amazing bloggers out there! She is always around to talk to and is hilarious! I love her! Arial is another of the AMAZING friends I've made. She is, like the others, always there if I need her help about something. She also helped to design the gorgeous graphics that we use for the What's in the Snow? event! She's so incredibly friendly and everyday I look forward to seeing her posts in my inbox! Plus her taste in fonts is impeccable! I know I can always go to her for advice that makes everything look better! 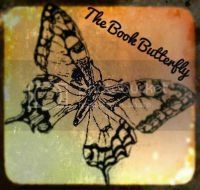 When I discovered Em's book blog I was so incredibly proud of myself. It was at a time when I was only just beginning to feel more comfortable in the blogging world. The minute I saw that she was a teen made me all the more excited. Plus she was new to blogging to I didn't feel as awkward leaving a really exciting and stupid sounding comment on her blog. She was also the first person I interviewed for Teens Take Over! And she's always supporting me when I need her! Sofia is a newer blogger that I've only just met. She's great to talk to and I love when she fangirls over books! She is definitely a great new addition to the bogging world. I actually edit some of her writing and stuff and she is such a fun person! I really like being able to talk to her! Klaudia is another of those people who make me glad that I became a blogger. She is so supportive right when I really need it! Like today (by the time I post this most likely a few days might have passed!) but I was working really hard to promote North Star Book Tours and she was there to help me out with her retweets and promotion! Leigh is yet another of those people who I find so easy to get along with! She is hilarious and is such a bad influence! (Sometimes... I mean really Leigh, books>sleep... not the best advice ever... =D) I really love getting to talk to her on twitter and her blog is beyond fabulous! Definitely an amazing person as well as a blogger. This girl is my spirit animal. Like, no lie. She really is! I love talking to her on twitter and we always have to same thoughts! (Like the Ruby Red movie! =D) She is such a fantastic person! I absolutely LOVE her! I absolutely love talking to her on twitter! She has such a fantastic personality and is really beyond amazing! I love, love, love talking to her! 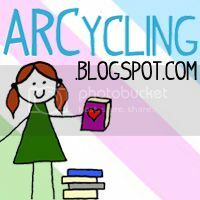 Erica is a blogger that I feel like I don't talk to that much, but I really love reading her blog. She is an insanely sweet person! I love Annie's blog so much. She actually recently restarted her blog and I always look forward to reading her posts! Another amazing person to talk to! I LOVE Emily! =D Her blog is amazing and it's always cool to see what she's reading! Kaitlin is SUCH a fun person! I'm obsessed with her blog and she really has some great quality posts. There are so many amazing bloggers out there and I am positive I missed so many of them. But this post was really just me wanting to talk a little bit about the amazing blogging friends I've made over the past few months. There are so many fantastic bloggers out there! THANK YOU SO MUCH!!!!!!! I LOVE talking to you too and reading this brightened my day. *hugs* I'm very happy that I got to start talking to you. Though, I think you knew that already by how much I Twitter stalk you. :) You and your blog are both fantastic! And most of the other bloggers you mentioned are ones that I've met and am happy I've gotten to meet too! Awwww, Cal! <333 Love ya, girl! I was literally just scrolling through my bloglovin, looking at new posts, and then I see this one and I'm just like, "Oh, I'll just read this to see who her blogging friends are." Then I see I'm on the list. My eyes just popped out of my head and I was like "What! That's so cool that I'm mentioned." like a total three year old. Thank you so so much for including me in this post. As you said I'm relatively new to blogging and to make all of these friends in the course of less than a month is freaking incredible. I love reading your blog and even though I don't comment all the time (new year's resolution in the works) I always read it and love seeing your opinion. Awww! Thank you! Writing this comment over a month later and I swear I only love you more now! You are such a fabulous blogger and I kid you not when I say that you blog is potentially one of the best out there! Ahahaha you know I'm just preaching the truth! Books over sleep for sure. (: hahaha awww I love talking to you on Twitter too, and I'm glad we became friends during 2013. This post is making me grin like a maniac. Stay fabulous and awesome, Cal!